Folge dem weißen Kanninchen::Home/Nützliches, Privatkrams, Unkategorisiert/COUGH! COUGH! 2013-11-07 22:00 Shanghai AQI: 305 (PM2.5 254.6ug/m3, average of all stations in city), Hazardous! COUGH! COUGH! 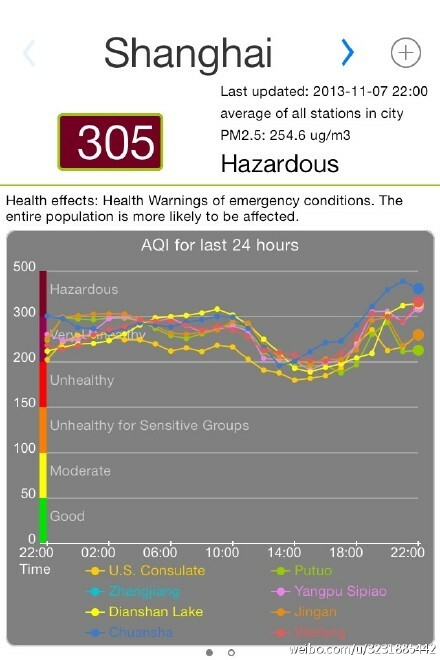 2013-11-07 22:00 Shanghai AQI: 305 (PM2.5 254.6ug/m3, average of all stations in city), Hazardous!